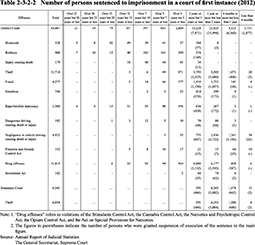 Table 2-3-2-1 shows the number of persons whose cases reached judgement in courts of first instance after public trial. 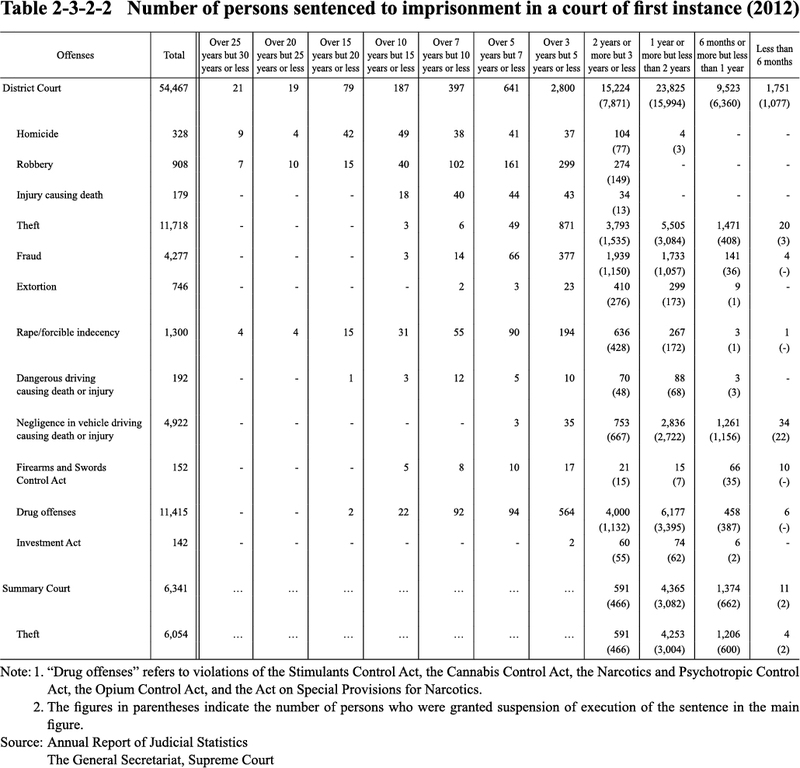 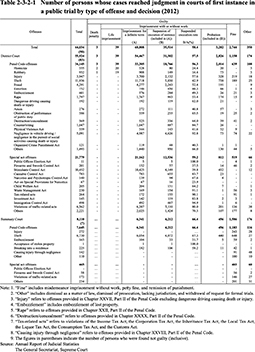 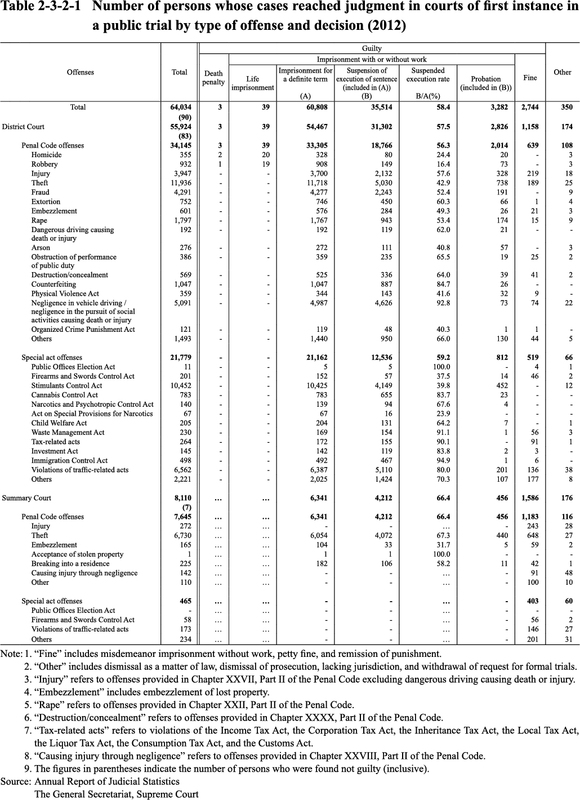 Table 2-3-2-2 shows the number of persons sentenced to imprisonment with or without work (excluding life imprisonment) in a court of first instance in 2012 (See Appendix 2-4 for sentencing by type of offense). 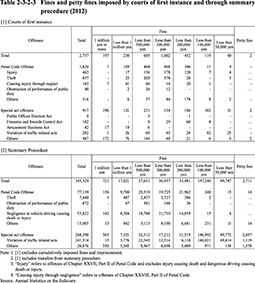 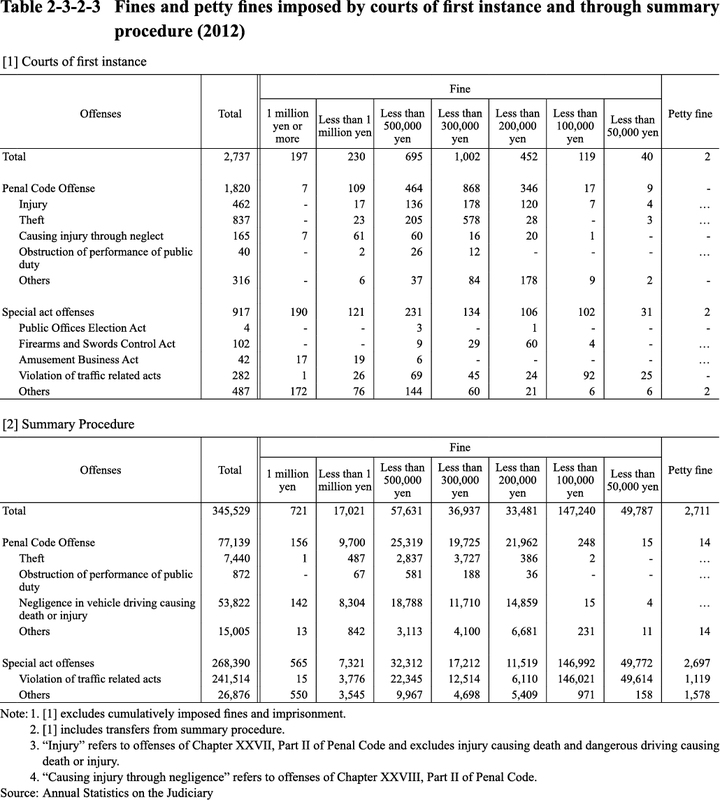 Table 2-3-2-3 shows the number of persons for whom fines were imposed (but excluding those cumulatively imposed fine and imprisonment) in a court of first instance in 2012.